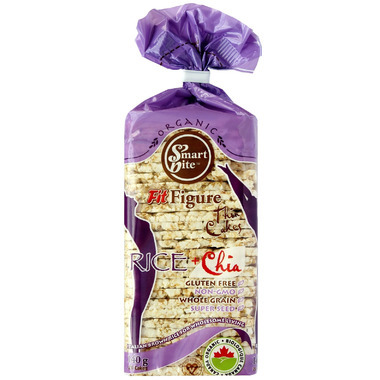 Gluten-free fusion of Italian whole grain brown rice and ancient Mayans' food staple chia. You can enjoy these delicious cakes with any kind of dip, spread, soup or salad or just by themselves as part of your healthy lifestyle. Your Smart Choice Every Day! Allergy Information: Produced in a facility that uses soy and wheat. Nice, light and crispy! Great on their own or with salsa, dipping in soup, etc.